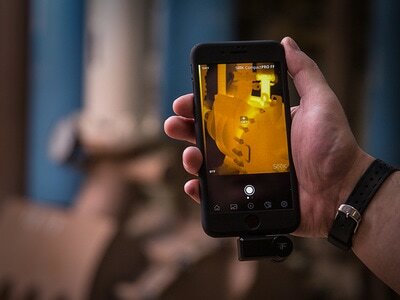 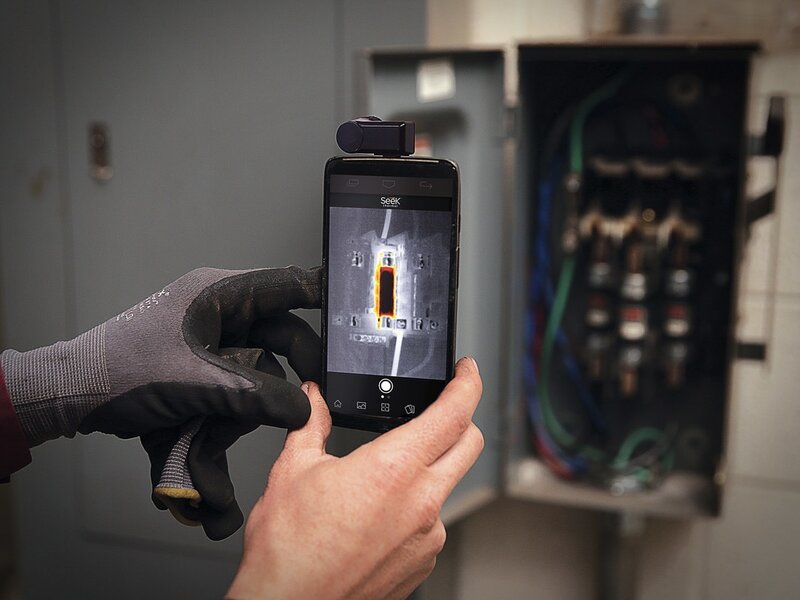 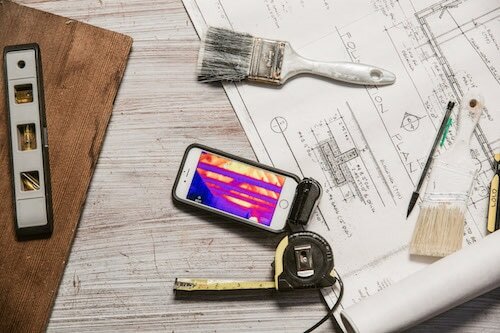 Made for iPhone® and Android™ top models, Seek Compact transforms your smartphone or tablet into a professional thermal imaging tool. 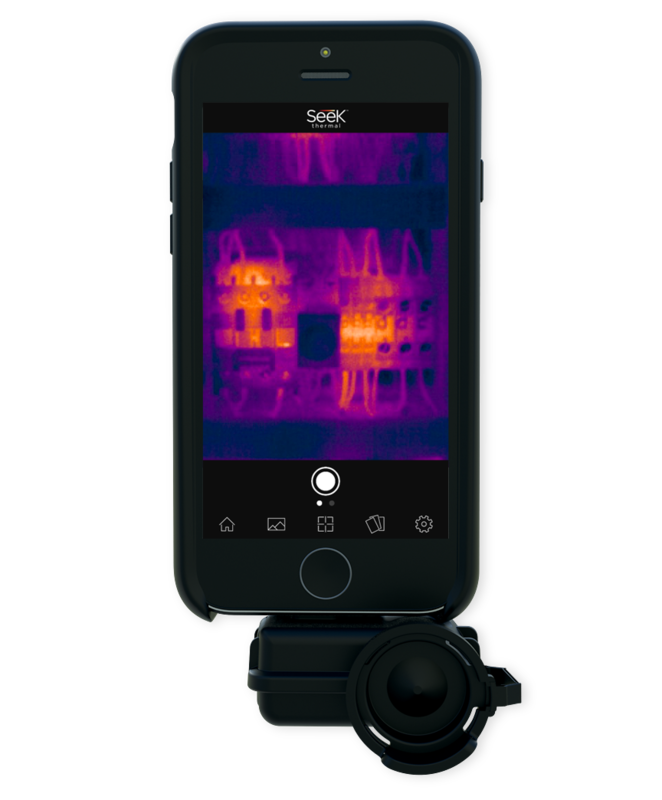 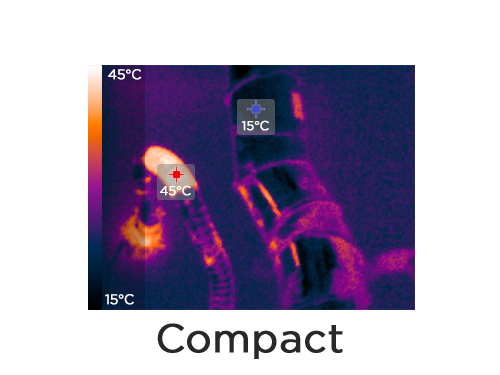 By utilizing the power and convenience of your smartphone, our cameras make it easy to take thermal photos and video, share findings, and send for documentation. 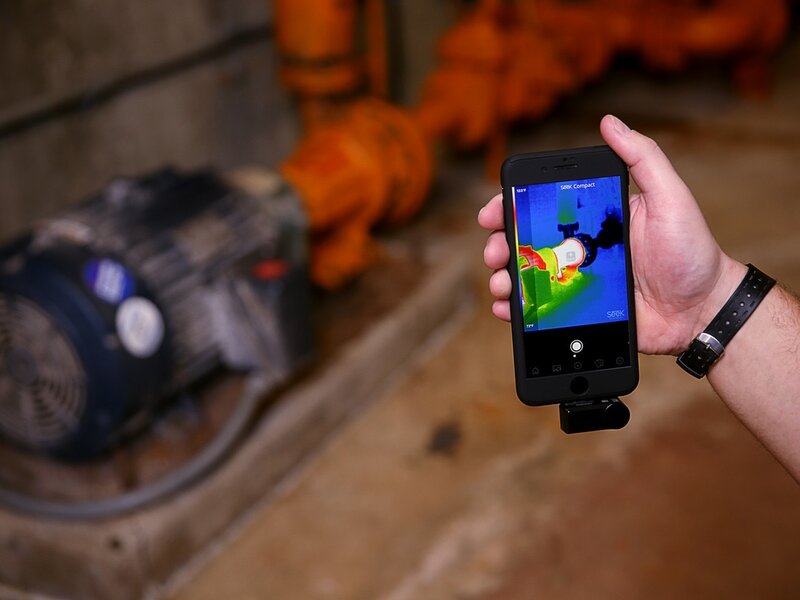 Simply connect and detect energy loss caused by air leaks, missing or damaged insulation, inefficient HVAC systems, electrical faults, and much more. 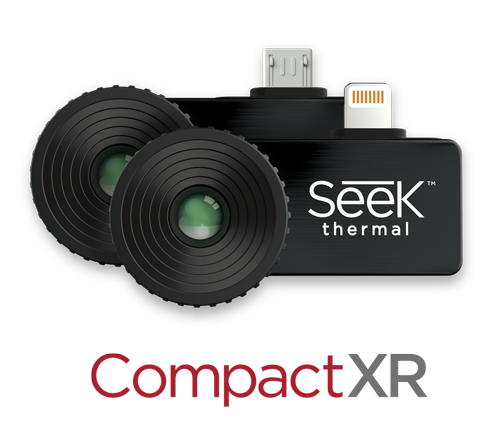 On top of all this, Seek Compact cameras are engineered to run on low power from your smartphone and do not require batteries or charging. 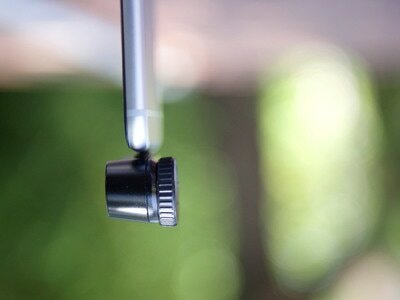 for Android USB-C available this summer. Sign up to be notified when Android USB Type-C cameras are available for purchase. 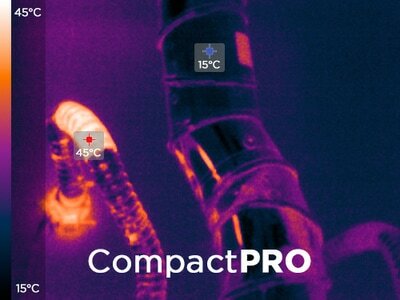 With its large thermal sensor and wide field of view, Compact combines an excellent balance of price, resolution, and thermal tools. 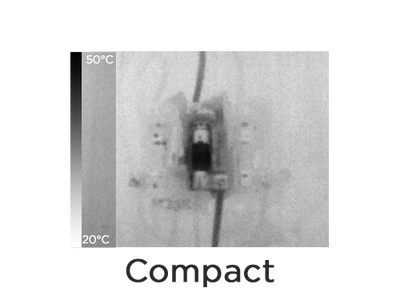 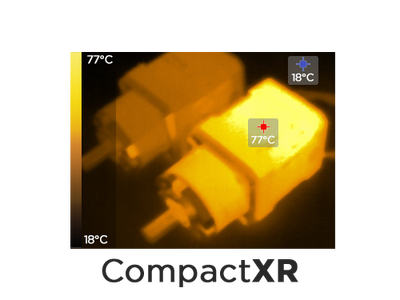 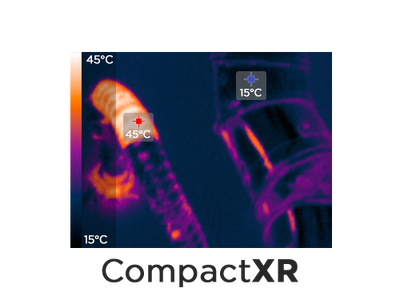 CompactXR provides the same thermal performance as Compact but utilizes a narrow field-of-view lens to nearly double the viewing distance. 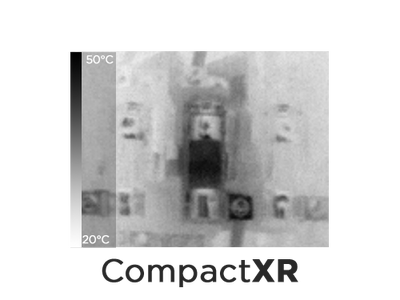 CompactPRO is our most advanced smartphone camera yet with unprecedented thermal resolution available at this price. 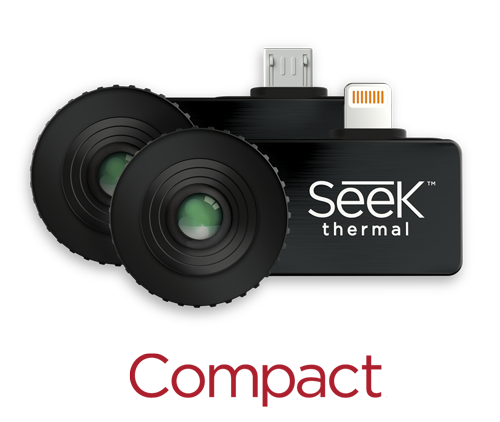 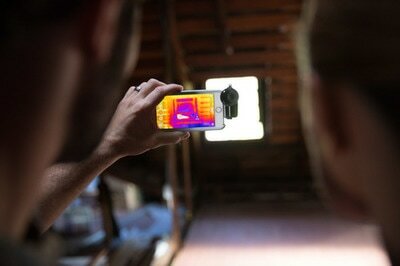 Using the free Seek Thermal App, Compact cameras work with iPhone® and Android™ top models. ​See the list of compatible phones and tablets. 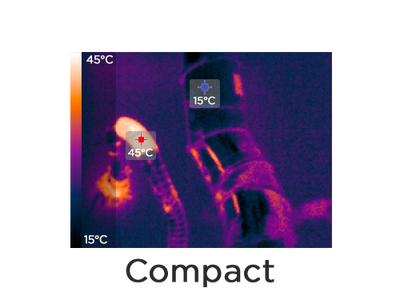 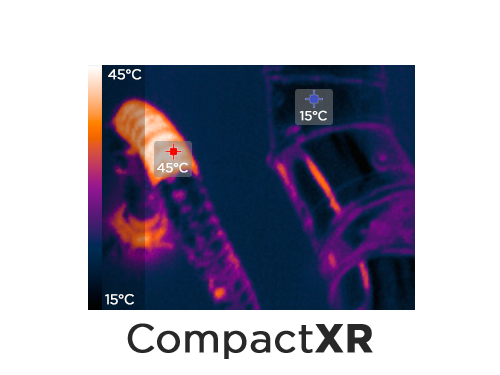 ​Thermal imaging provides useful insight into the detection of energy loss and electrical hazards in homes, commercial buildings, and industrial facilities. 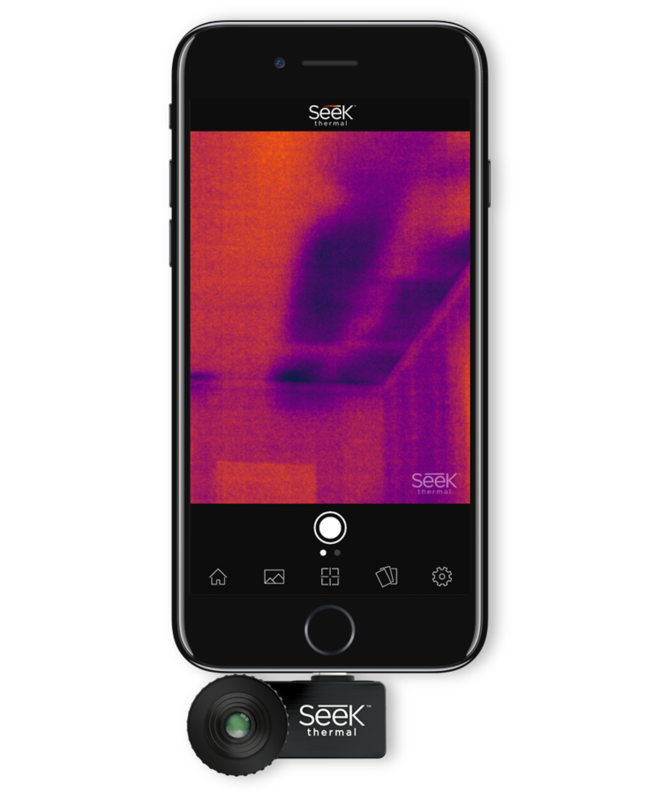 The Seek Compact enables Building Professionals to conduct inspections quickly and accurately, without the need to crawl through attics and crawlspaces or punch holes in walls to find moisture, air leaks, and insulation gaps. 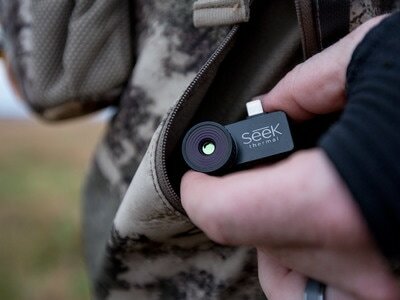 ​Keep an eye on things – even things your eyes can’t see. 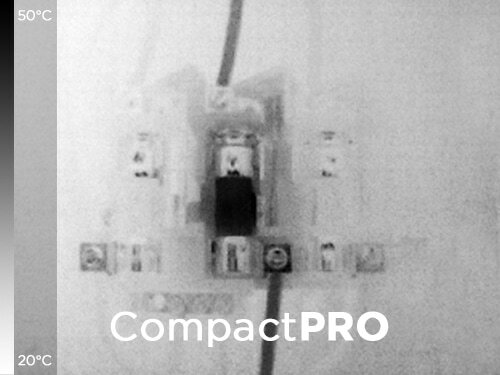 A visual assessment using the Seek CompactXR has unique benefits especially at dawn, dusk, and over long distances where visible light is limited. 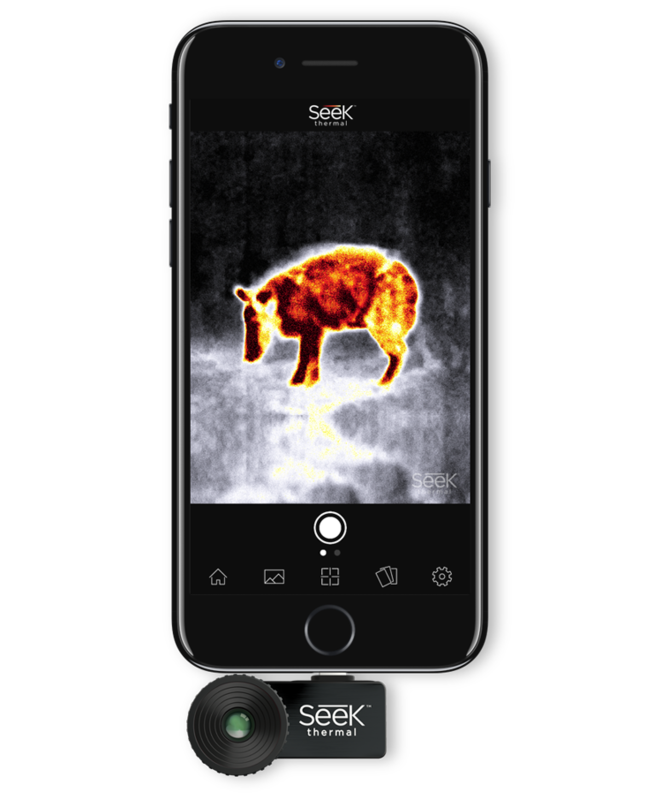 Thermal imaging detects temperature, which is indicative of people, animals, or other objects radiating energy (or heat). This makes it easier to discover and detect heat at night where lighting provides unwanted attention. 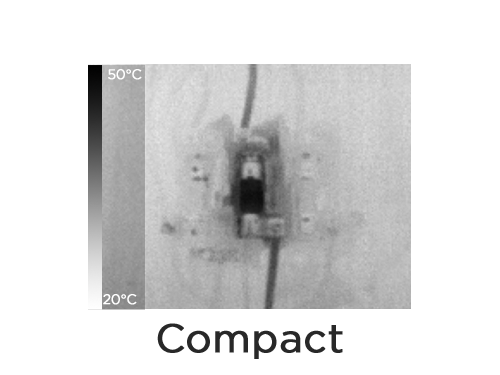 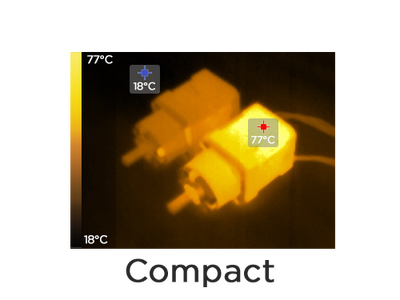 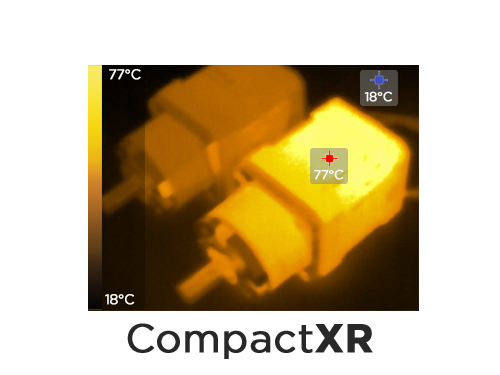 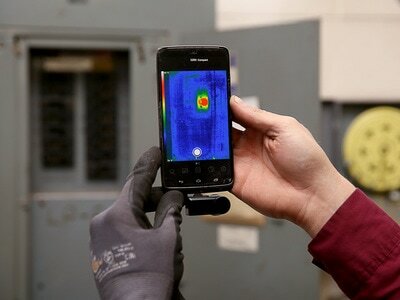 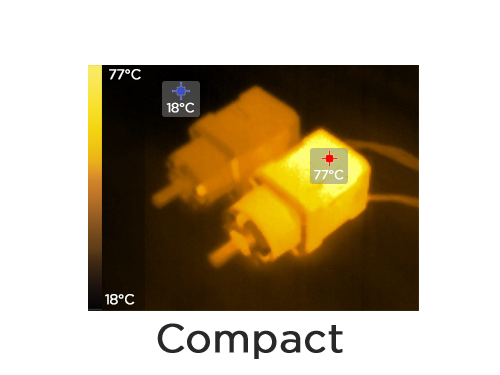 ​For maximum image clarity and sensitivity in a smartphone thermal camera, look no further than CompactPRO. 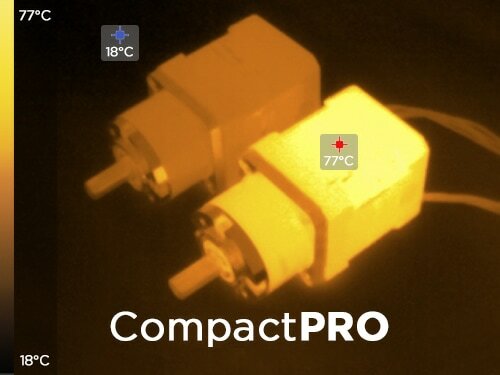 See more thermal detail where you need it most with adjustable level and span controls. 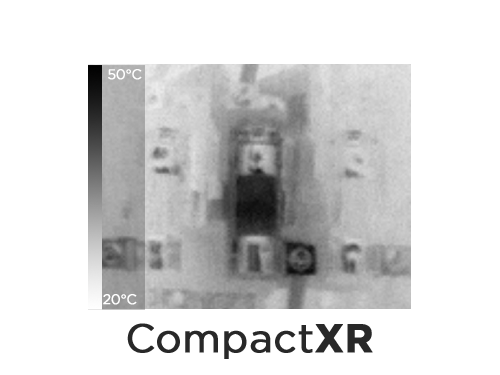 When accuracy is critical, compensate for reflective surfaces with four easy-to-use emissivity presets. 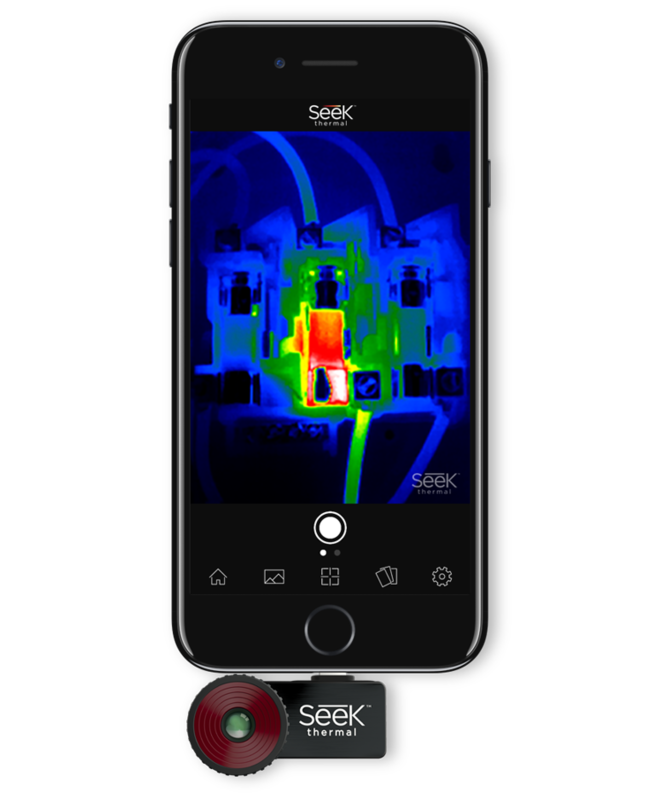 Engineered with Seek’s FASTFRAME Technology, CompactPRO delivers a smooth viewing experience while scanning or on the go. 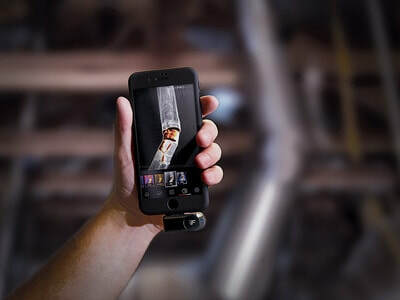 We partnered with OtterBox to offer a protective housing for Seek Compact that connects to the OtterBox uniVERSE Case system made for iPhone. Completely surrounding your Seek Compact camera, this durable polycarbonate module slides into the back of the uniVERSE iPhone case to protect your iPhone and Compact when capturing thermal images. 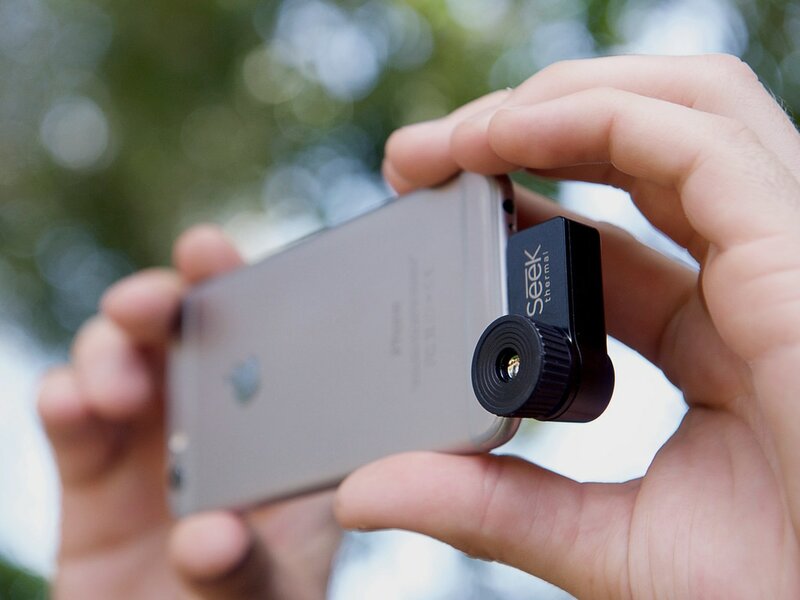 The case system is compatible with all Seek Compact cameras, so if you already own a Compact, CompactXR or CompactPRO, you can buy the housing accessory for $29 here​​. 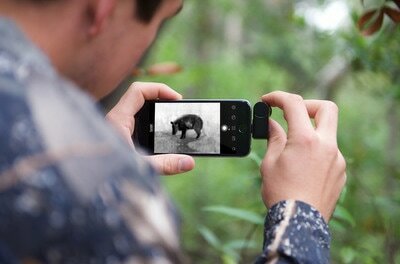 Otterbox uniVERSE iPhone Case not included. 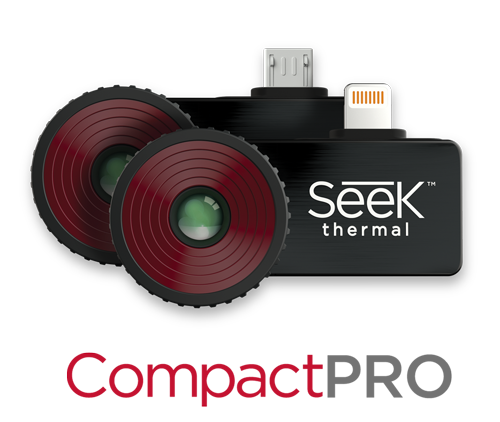 Powerful and rugged in design, the standalone Seek Reveal combines high-resolution thermal imaging, a long-lasting rechargeable battery, and a large color display in one durable device.